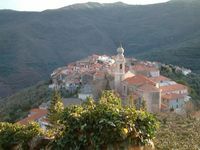 Properties in Pieve di Teco average 4.7 out of 5 stars. Property 25: House Erma Arzeno d O. Property 31: COUNTRY HOUSE "I BOTTINI"